The second phase of the ‘Enlist for a Day’ begins today, the initiative that promotes the Armed Forces among the students of the 4th year of schooling in the whole Region. The first session takes place today, with the participation of about 60 students from schools in the counties of Calheta and Ponta do Sol. It is a pioneering and unique project at the national level, but not for long. It was announced that a working group was set up which will try to implement a project similar to this one, in continental territory. 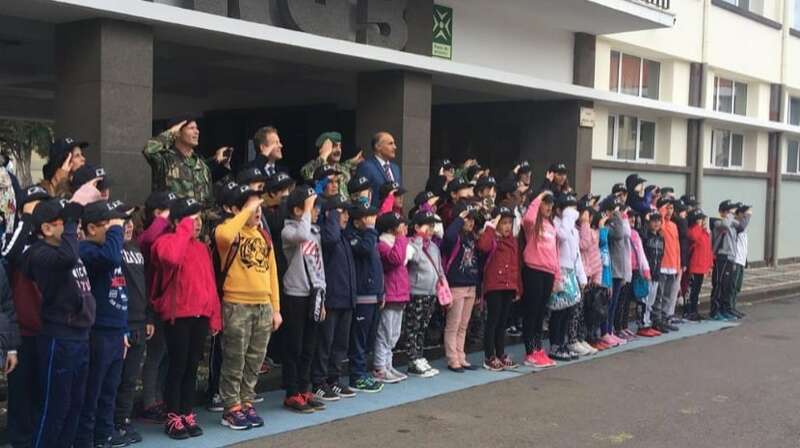 The statements were made this morning by the operational commander and the Military Zone of Madeira, Major General Carlos Alberto Perestrelo, during the start of the second phase of the program. It also highlights the positive feedback from teachers, students and parents and recognizes the relevance of the initiative, in an “ever more immediate” society and sometimes personalized with “some selfishness”, by instilling in children the principles of nation, of the homeland, of solidarity and other associated values. About 1050 students participated in the first phase of the ‘Enlist for a Day’, distributed over the 16 sessions that took place between September 20 and November 23. “Another thousand” are expected, which will come in sessions that take place from today until the beginning of April, thus reaching all schools in the Region. The novelty of this second phase is the inclusion of the Air Forces in this initiative of promotion of the Armed Forces, that will be made during the second fortnight of March.